Take a deep breath and scan the horizon. The winter landscape is endless here, luring skiers, skaters, snowmobilers and winter fishers to snow parks, frozen lakes and nature centers. Cross-country skiers glide over trails at Higley Flow and Wellesley Island State Parks. Snowshoers explore the Gorge Loop at Whetstone Gulf, while ice fishing derbies and winter carnivals at Alexandria Bay keep the blood flowing. Snowparks and sliding hills are everywhere, with trails for sleds, skis and snowshoes that are well-groomed, well-marked and endless. Located near Watertown, the Dry Hill Ski Area offers family skiing, snowboarding and snow tubing. Winona Forest makes full use of its 250 inches of snow per season with snowmobiling, hiking, horseback riding, cross-country skiing and even dog sledding. Tug Hill Challenge sled-dog races are a growing spectator sport. Nature surrounds you in the Thousand Islands. More than two dozen state parks carpet the region with winter activities for all. Watch for winter birds at Wellesley Island and tackle ice fishing at Higley Flow. 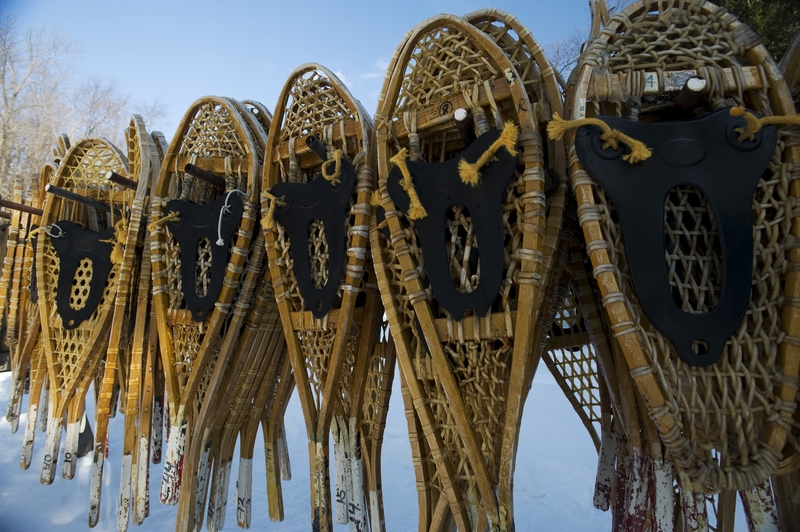 For snowshoeing trails, cross-country skiing and free-spirited snowmobiling head to Plattsburgh&apos;s Point au Roche. A magnet for nature lovers is the 600-acre Minna Anthony Common Nature Center where miles of hiking and cross-country ski trails surround a 3,500-square-foot natural history museum. There is simply no better spot on earth for winter fishing. This region can prove it too with trophy steelhead all season long. Novice or pro, your hook won&apos;t stay empty long. Serious ice fishers can pull in their limit of plump northern pike and yellow perch at spots like Perch Lake, open exclusively to ice fishers from December to March. Or go for black crappie, bluegill, pumpkinseed and bullhead along the Indian River Lakes chain and Black River.Ice fishing yields trophy catch all through this region. At Lake Neahtahwanta the bullhead, largemouth bass, northern pike, crappie, panfish and bowfin are ready to bite. Swing by for ice-fishing derbies on the Salmon River, or try your luck at top hard water fishing spots like Sandy Pond and Oneida Lake.